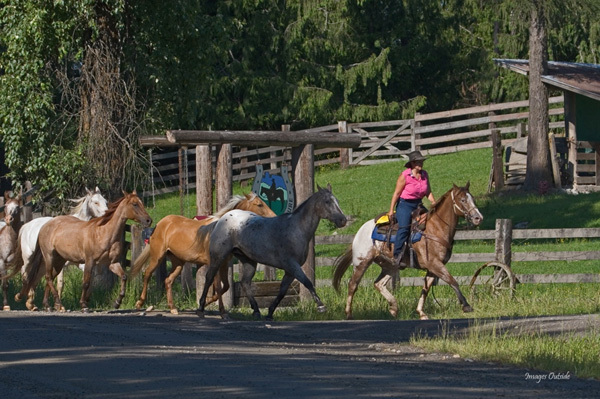 Receive a £50 per person discount off all stays in July and August at the Western Pleasure Ranch in beautiful Idaho. The ranch offers an excellent riding program for all levels of ability and includes arena lessons along with daily rides, they also offer moving, sorting of their cattle herd. Plenty of other activities are available including, mountain biking, fishing, hiking, kayaking, trap shooting and much more. Now only £1845 per person (normally £1895 per person) and £1180 per child up to 12 years (normally £1230). This includes, 6 night’s accommodation, meals, ranch activities, use of ranch facilities, taxes and gratuities. Transfers available at additional cost from Spokane. Flights from £889 per person.